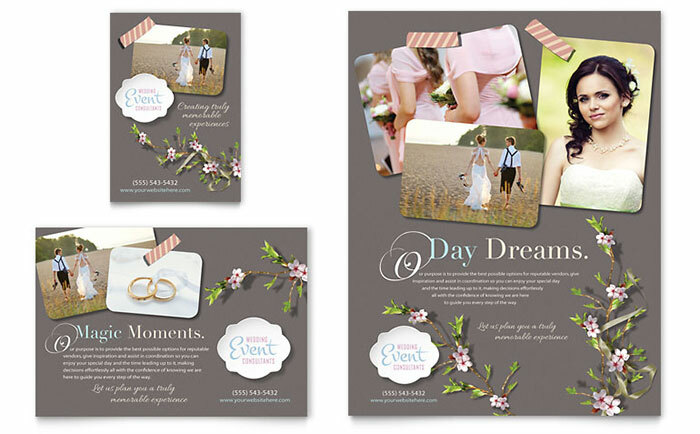 Make memorable brochures, flyers, newsletters, ads, and stationery to start marketing a wedding planning business. 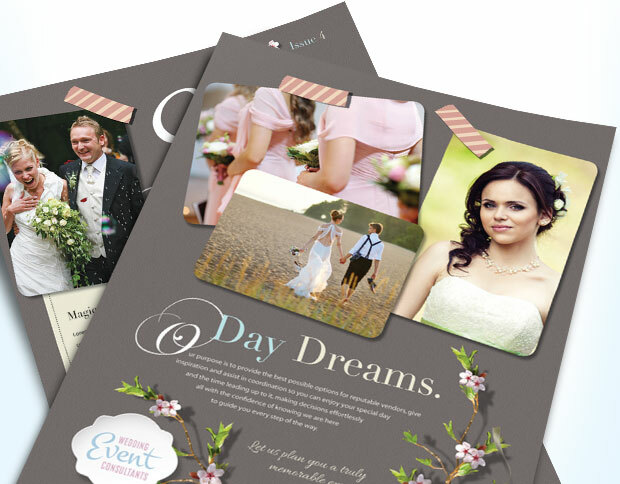 Dream up your own creative designs for a wedding consultant or event planner using StockLayouts templates. 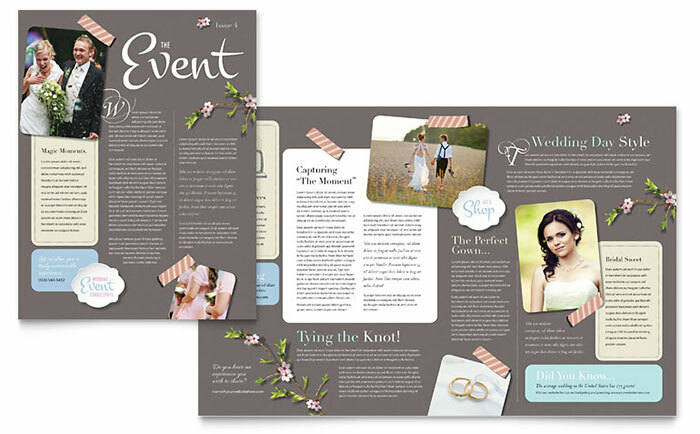 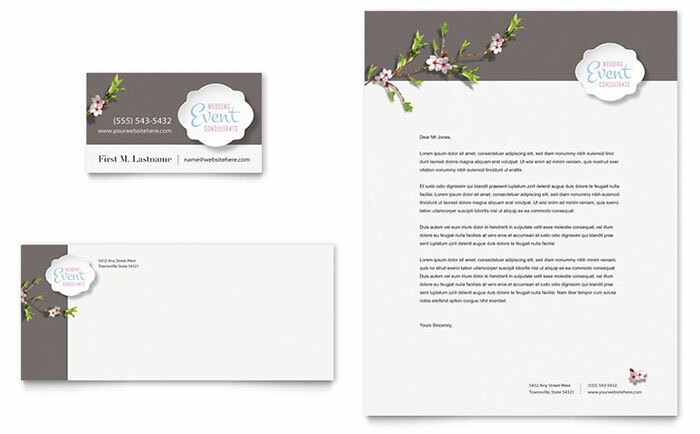 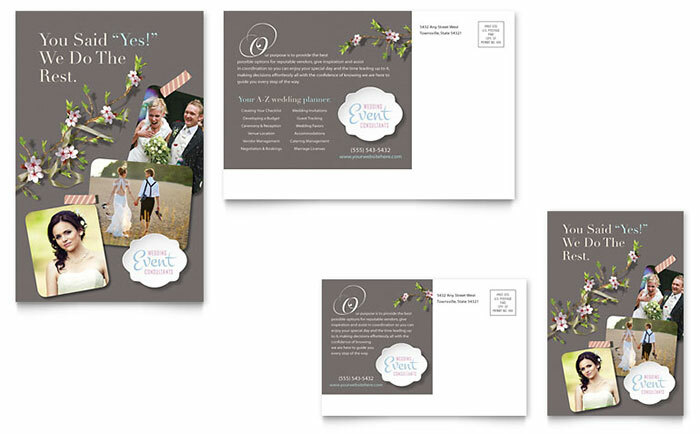 View more wedding and event planning marketing templates from StockLayouts. 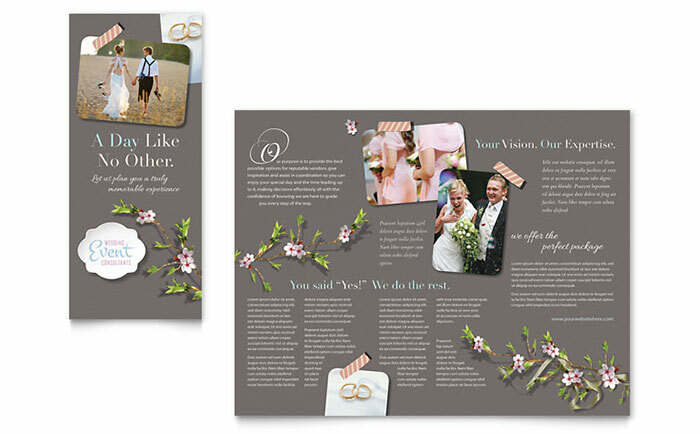 Get Microsoft Office templates for wedding & event planners at LayoutReady.com.